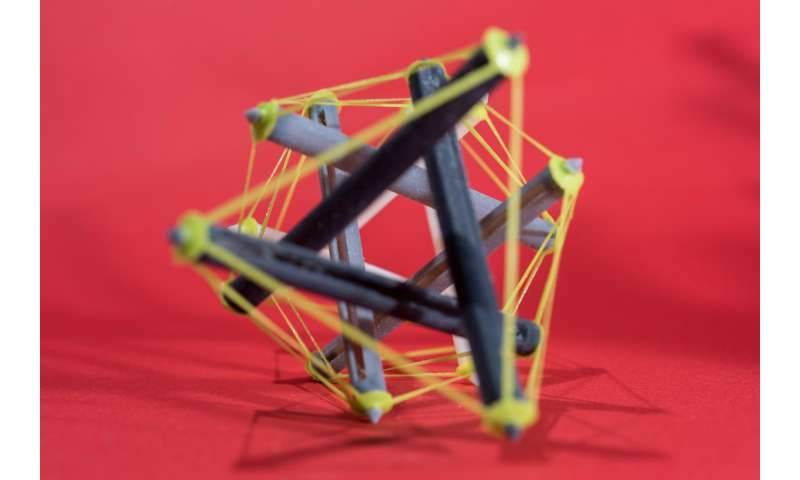 "Tensegrity structures are extremely lightweight while also being very strong," said Glaucio Paulino, a professor in Georgia Tech's School of Civil and Environmental Engineering. 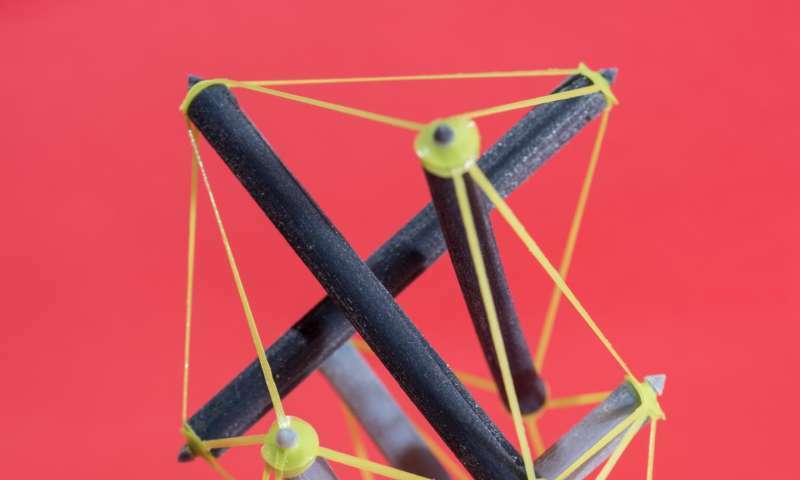 "That's the reason there's a heavy amount of interest right now in researching the use of tensegrity structures for outer space exploration. The goal is to find a way to deploy a large object that initially takes up little space." "We believe that you could build something like an antenna that initially is compressed and takes up little space, but once it's heated, say just from the heat of the sun, would fully expand," said Jerry Qi, a professor in the George W. Woodruff School of Mechanical Engineering at Georgia Tech. "For bigger and more complicated structures, if you don't control the sequence that these struts expand, it tangles and you have a mess," Paulino said. "By controlling the temperature at which each strut expands, we can have a phased deployment and avoid this entanglement." The term "tensegrity" comes from a combination of the words "tensional integrity," and the concept has been used as the structural basis for several notable projects through the years, including a large pedestrian bridge in Brisbane, Australia, and stadium roofs such as the Georgia Dome stadium in Atlanta and the Olympic Gymnastics Arena in Seoul, South Korea. 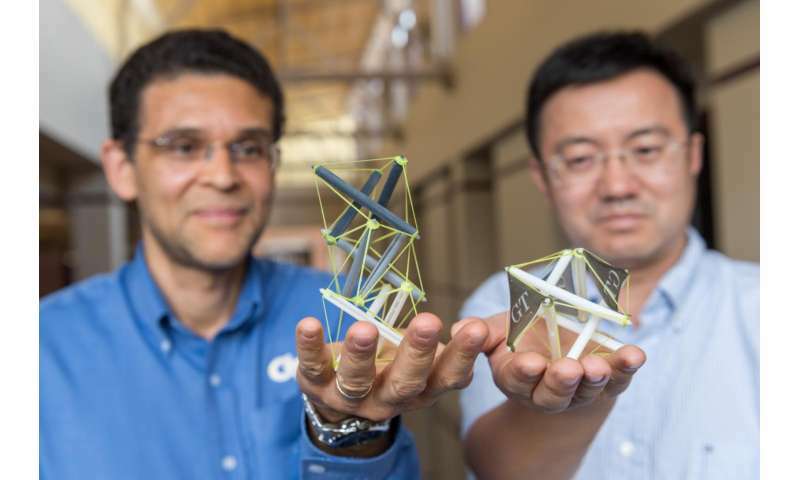 "These active tensegrity objects are very elegant in design and open up a range of possibilities for deployable 3-D structures," Paulino said.